The desire to have a young face and body is a dream shared by most people. Freshly looking face gives self-confidence, even serve as a model for others to look up to. 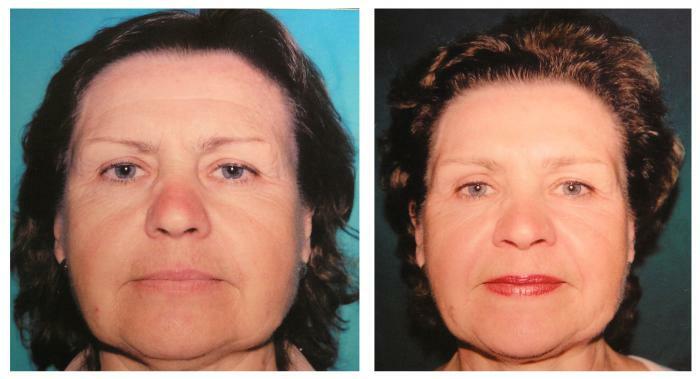 However, not everyone wishing to rejuvenate, can undergo a plastic surgery (for health reasons, age and so forth). Nowadays there is a wide range of facial injections - a list that grows every year, some of which can temporarily replace the effects of a plastic surgery. The injections are carried out on the body and face with tried-and-tested techniques. These injections are approved, tried-and-tested and are widely used in Europe and around the world, and provide satisfying results for patients. BOTOX ® (Botulinum Toxin Type A) - The effects of botulinum toxin have been known since the turn of the century, but not until recently has it been demonstrated to be effective in diminishing facial wrinkles. Botulinum toxin is a nerve impulse "blocker." It binds to nerve endings and prevents the release of chemical transmitters that activate muscles. These chemicals carry the "message" from the brain that causes a muscle to contract; if the message is blocked, the muscle doesn't spasm. 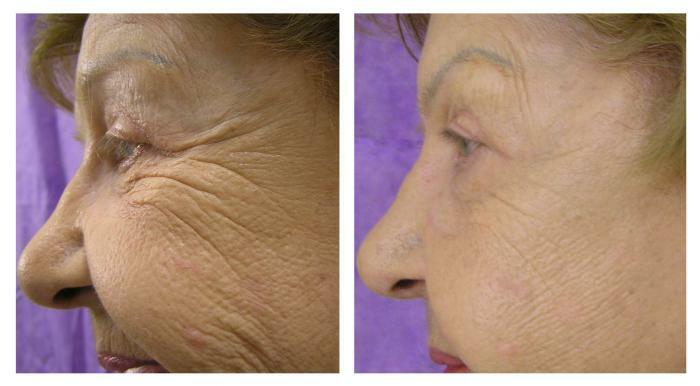 Botulinum toxin usually takes full effect within 1 to 2 weeks. However, the nerve endings usually grow new connections to the muscles at sites that have been exposed to botulinum toxin. Therefore, treatment must be repeated as necessary. ... and many others (please ask in advance). 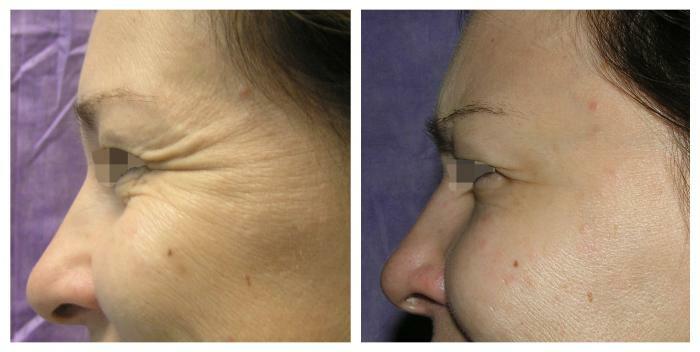 These injections are carried out in cases of minor wrinkles and scars, acne, pigmentation spots and aging skin. Anaesthesia: local anaesthetic or with the use of anaesthetic Emla cream. Recovery: The patient is able to go home after 20 minutes after procedure, and is able to return for work on the same day. Results will become visible 2-10 days later, depending on the type of injection. 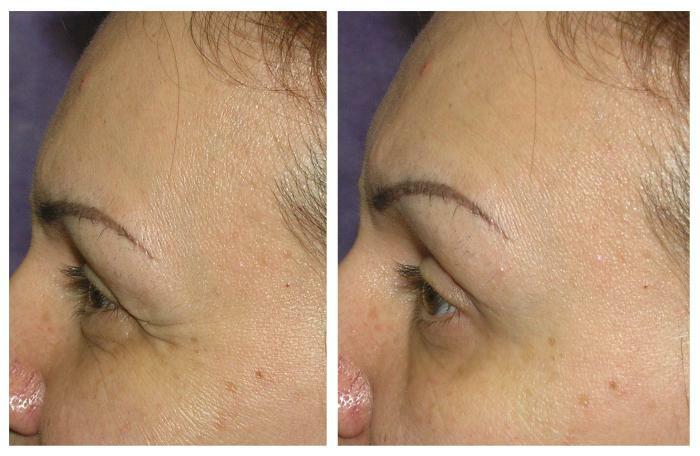 Duration of the results: 3-8 months. Price: the cost of the procedure is determined during the consultation. The surgeon will study the features of the skin, the signs of aging, the nature of wrinkles, contours and facial expressions. Based on these the doctor will determine the scope of the procedure, the type of the injection to be administered and the individually tailored treatment. In recent years injection treatments have become quite widespread, and many clinics and individuals who are not qualified plastic surgeons carry out these injections. In order to minimise the risk of complications and to obtain the right type of treatment suitable for you, it is highly advisable that a qualified plastic surgeon conducts these procedures. The choice of injection should be identified by the plastic surgeon for each patient individually! Despite carrying out these procedures by an experienced surgeon, sometimes side effects like allergy, temporary ptosis of eyelids and asymmetry, do occur. Therefore, the individual who administers these injections must have the necessary knowledge and skills to prevent and swiftly eliminate them at an early stage. It is desirable that the same surgeon who carried out the initial injection, also conducts the subsequent ones. This will help to better control the result of the procedure and to determine the dosage of the subsequent injections more accurately. This will also allow for a more individually tailored approach. Hello. I also would like to share my views. I am 29 years old and I did BOTOX for the first time, because I believe prevention is the best form of therapy. I am very pleased with the result. The results appeared after about 3 days, with a very nice sense of relief - like relaxation in the forehead after a massage. As far as the injections are concerned, there was absolutely no pain. I met Dr. Karapetian totally randomly while looking for an acclaimed plastic surgeon with good credentials. Firstly I had Botox in the forehead. I was happy with the comfort of her hand technique, her professionalism, and the low price of the procedure. Really wanted to try Botox. Eventually, I found a link on the internet about the plastic surgeon Dr. Karapetian. Initially, I approached everything with a degree of caution, as this is a new country for me and a new doctor. But as soon as I first met with the doctor the tension just disappeared. This remarkable woman imbued in me a sense of confidence from the first minutes of our meeting. As a result, I'm very glad to get to know this doctor, and I'm very pleased with the final results too.